SSC has Announced an Important Notice to candidates of Alwar & Jodhpur, In respect of Re-examination of Sub Inspector in Delhi Police, CAPFs and A.S.I. in CISF – 2016. 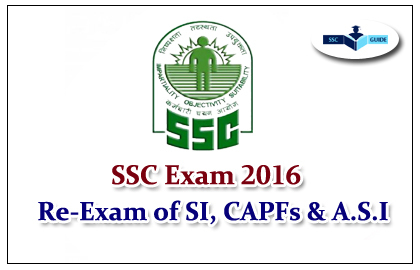 Staff Selection Commission has decided to hold Re-examination of Sub Inspector in Delhi Police, CAPFs and A.S.I. in CISF – 2016 in respect of following venues in Alwar & Jodhpur on 11/06/2016.